The flashing neon lights that hovers around the city was apparent. Even from a distance and as we disembark from the plane, the changing neon lights of the casino hotels of Macau Peninsula and the Cotai Strip is truly one for the books. But in this mecca of gambling, glitz and luxury, there stood one unique establishment. Contrary to the sounds and footsteps heard of on the lobbies of the usual casino resort hotel, the Ascott Macau offers a different perspective of Macau. The traffic within the confines of the hotel is limited and the ambiance is relaxing with a homey vibe, more so, that the non-gaming hotel is specially-designed as a home away from home hotel. The Ascott Macau is strategically located right at the center of the bustling business district and is a 5-minute drive from the Macau Ferry Terminal, 8 minutes from China’s Border Gate, 10 minutes from Taipa Ferry Terminal and Macau International Airport. It is truly your home in the business district of Macau. It is also easy to locate as the hotel plays host to some of the city’s best restaurants, including Shun Hin Seafood Restaurant, The Mix Western Restaurant and the Win Japanese cuisine. Should you wish to unwind and be intoxicated, chilled cocktails at available at the Heart Bar, considered as the hotel’s Lobby Lounge. All the F&B outlets are separately operated. There are four (4) room types to choose from in Ascott Macau. These are: Deluxe Room (Twin/King), Noble Suite, Executive Suite and Premier Suite. We were booked on a Executive Suite. Click for rates on each room type. All these rooms are tastefully decorated with an accent of Portuguese influence that is reminiscent of the city’s rich culture and historical links with Europe. The integrated open kitchenette is my favorite corner of our suite. In fact, I want my own space to be the same. The built-in cabinets were likewise economical with a washing machine efficiently kept. Space was definitely maximized without the feeling of being crowded. There are 110 elegantly and stylishly furnished guestrooms and suites and each has its own story and character to tell. Noticeable as well are the decors on each floor which showcases the varied tourist attractions and landmarks of Macau. Each floor can actually serve as a guide if one has no itinerary while in Macau. Our Executive Suite is designed for international travelers who desire the security of a private living space. The 55-sqm suite features a master bedroom, living and dining areas and a bathroom with a bathtub. And because we need to work as well even on weekends, the suite can be converted into a working area with one corner offering a work space with fast and reliable WiFi access. The hotel basically offers all that a tourist or even a local businessman may want for trip, either business or leisure. Ascott Macau is ideal for business travelers to hold meetings and private dinners with entertainment facilities on their multi-function room, VIP room, meeting rooms and a business center. For relaxation and fitness, the property is equipped with a gym, heated indoor swimming pool as well as an outdoor pool and a rejuvenating sauna room. Just by sitting at the lobby, you would know how efficient and fast hospitality service is in this hotel. Ascott Macau can relatively monitor all their guests, thus, security is not an issue. From the receptionists to the bus boy of the hotel, all provides a cheerful smile making you welcome at the hotel. 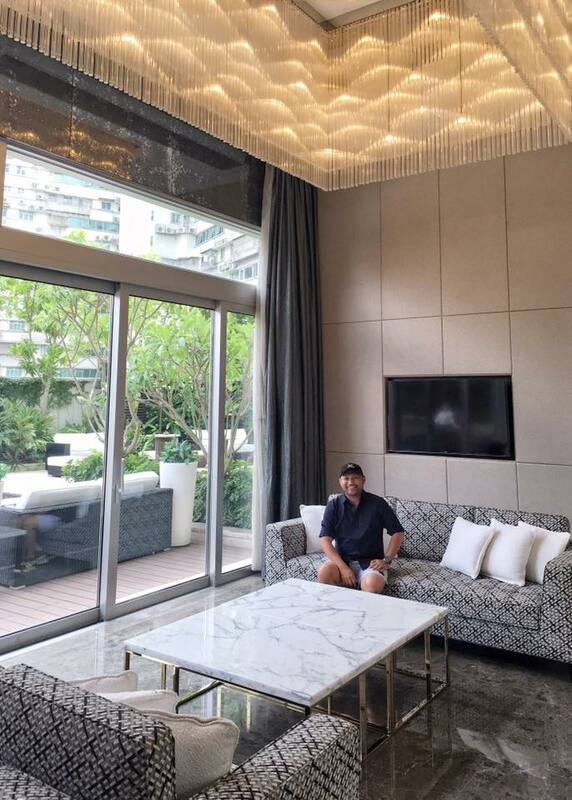 If given the chance to go back to Macau, I would definitely love to be back at this apartment hotel and may even bring with me my family and friends as the vicinity provides the comfort and privacy that guests like me would sometimes long for. Indeed Macau is the mecca of casinos and one of the best places to visit if you could. That hotel looks very good place to stay. Thanks for sharing.